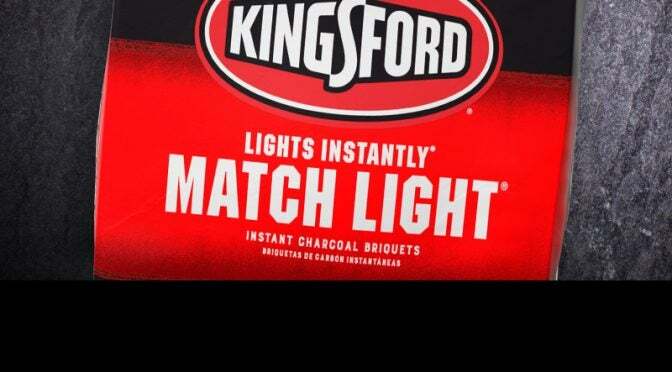 Kingsford® Match Light® Charcoal lights every time—guaranteed. * Because the briquets are infused with just the right amount of lighter fluid, they light instantly*, and stay lit with no lighter fluid needed. They light with just a match and are ready to cook on in 10 minutes — making them perfect for tailgates and other on-the-go events. And our Match Light® Charcoal is made with North American wood and the same quality ingredients as Kingsford® Original to deliver an authentic wood-fired BBQ flavor — instantly. Available in a variety of sizes, from 4-lb. to 2x16-lb. bags. For best results, always close the bag tightly after use. Kingsford® Match Light® Charcoal should last 1–2 years in unopened bags stored in a cool, dry place. For best lighting results, partially used bags should be rolled tightly down to the level of the briquets in the bag and securely closed. Additionally, storing open or unopened bags in a cool, dry place will help maintain performance. For Your Safety •	Never cover flaming briquets with a grill lid. Covering flaming briquets may result in a flare-up when lid is removed. Use water to control excessive flames. •	Do not light any part of the bag. •	Do not add Match Light® charcoal once fire has been lit. Add Kingsford® Original Charcoal Briquets if extra charcoal is needed. •	Do not use in water smoker grills.